Vinyl fence can widely application in outdoor landscape, vinyl fence acting as an effective barrier to providing privacy. Any vinyl fence you install probably save lots of extra expense, so it’s very worthwhile to invest ,at the same time vinyl fence can weather resistance ,durable, lightweight and economical advantages , is not bad choice for you. 1. 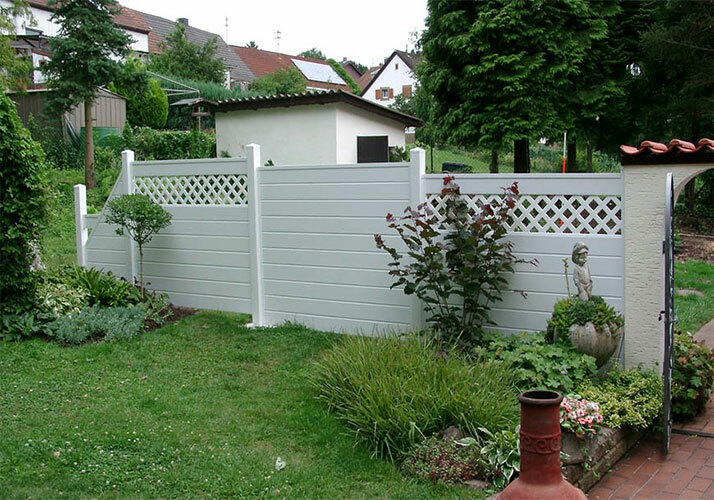 Vinyl fence have long life compare with other fence. 2. It needn’t painting or staining. 3. There are blended with UV inhibitors which results in the products that will not fade. 4. It will not crack, chip or peel. 5. mould resistant , mothproof and waterproof. 6. We can offer any length or size according to your needs. Although vinyl fences virtually maintenance-free, you should clean them occasionally to keep them in good repair. Method 1 :Spray the fence lightly with water from the hose. Use a stiff brush to remove dirt and debris from crevices. Method 2 : bring out a soft cloth, a pail of warm water, a bottle of dish-washing liquid, and a garden hose. Hose down your fencing to remove the majority of the stains. To clean off the rest, squeeze some of the dish-washing liquid into the pail and mix it into the water. Then dip your cloth into the pail, and proceed to scrub the fencing down. Finish by rinsing off your vinyl fence with the hose.